When the current floor system at the Science & Technology Facilities Council (STFC) RAL Space facility required refurbishment, flooring specialist, Floor-Safe Ltd called upon Dr.Schutz to supply its ESD Floor Coating System to his company. As an approved Dr.Schutz contractor, Floor-Safe was confident that the product would offer protection against electrostatic discharge, providing an aesthetically pleasing end result and would be completed within two days, therefore fully meeting the client’s requirements. RAL Space carries out a vast range of world-class space research and technology development; with significant involvement in over 200 space missions, STFC RAL Space is at the forefront of UK space research. In environments where there is a large volume of electronic components, such as RAL Space, it is vital to have electrostatic dispersion (ESD) flooring to protect the technology against the harmful effects of static electricity. Floors, chairs, work surfaces and even packaging can all create static electricity, which can damage electric and computing devices. As well as seeking protection again ESD, the client no longer desired a shiny finish, and instead, requested a sleek, matt look. 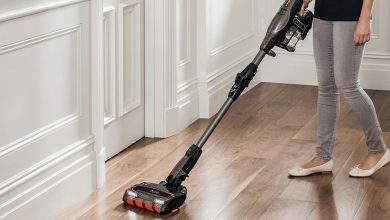 Due to the nature of the business, RAL Space didn’t have the luxury of time to close-down to refurbish the floor, so required a solution that would be completed with minimum disruption. As an approved Dr.Schutz contractor, Floor-Safe Ltd has worked with its product range for a number of years, so knew that the Dr.Schutz ESD Top Coat product would be the perfect solution to restore the conductivity of the ESD flooring, whilst enhancing the colour and aesthetic appearance of the floor. Normally a challenge for flooring treatments, the client requested a specific colour that is present in RAL Space, Germany – traffic blue 2015. This was no issue for Floor-Safe Ltd as Dr.Schutz is able to offer a solution to any specific colour, satisfying even the most aesthetically challenging projects. During a prior inspection, Floor-Safe noticed that RAL Space also had a black floor in a different area, so created a second black ESD solution especially for this area. Dr.Schutz ESD Top Coat was applied to over 1000 sq.m on top of the existing conductive resin. Without interfering with the facility’s operation, Floor-Safe Ltd was able to keep down-time to a minimum and carry out the work over just two days. All ESD floors must meet the requirements of DIN EN 61340-5-1 and ANSI 20.20; it has to be easy to maintain, capable of handling all types of traffic and uphold its aesthetic qualities for a long period of time. All Dr. Schutz ESD Systems are ESD certified, have a high wear and tear resistance and a life expectancy between 3 and 10 years. For more info on Dr.Schutz ESD products, please contact Dr.Schutz on 01296 437827 or visit www.dr-schutz.com. 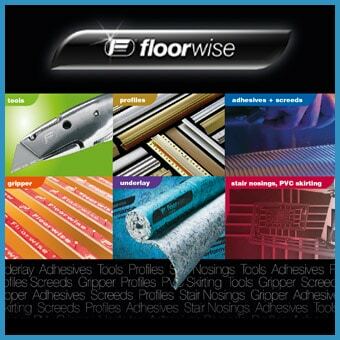 For more information on Floor-Safe Ltd please visit www.ukfloorsealers.co.uk or call 0845 643 1317.